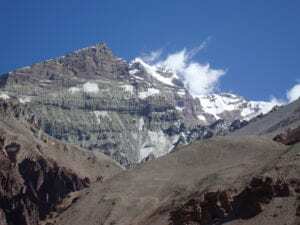 Despite being a trek which is accessible to most people and not just experienced mountaineers, the trek to Everest Base Camp should not be underestimated. Hiking in the Himalayas is a serious challenge which requires significant preparation. With forward planning and the right attitude to training, however, you stand the best possible chance of successfully and safely reaching Base Camp – and enjoying one of the most rewarding and spectacular experiences in the world. READ more about training information for your Everest base camp trek. Trekking to Everest Base Camp is a physical challenge which is well within the reach of most people who enjoy a reasonable standard of fitness. However, training specifically for the trek is essential to prepare you for the particular pitfalls posed by mountain walking. You are strongly advised to seek medical advice before deciding to arrange your trek and before starting a training program, particularly if you have any concerns about your health. It is sensible to start training as early as possible before your scheduled trek. Conventional exercise routines which build strength, fitness and stamina, such as aerobics and light weight-training can be beneficial, particularly if your fitness level is less than desirable. But the best physical preparation is activity which simulates, as far as possible, the demands on your body which will be happening during your ascent and descent to Mount Everest Base Camp. Hiking up and down hills with weighted back pack is key to success. We can help in your preparation, so please ask as we have lot of experience preparing for this trek. You should therefore aim to make walking the main part of your training. Taking regular and increasingly long walks will help develop the muscles which will be needed when you arrive in the Himalayas. Try to find some local hills to walk up and down if possible. Gradually increasing the duration of your walks will help to develop your stamina and also assist in preparing you for being on your feet over long distances. When out on training walks, ensure that you always wear the boots you intend to take to the Himalayas. Getting used to your footwear will help make you as comfortable as possible when it comes to your trek. It is also a good idea to wear the same back pack you will be taking with you on the climb so you feel at ease with it and gradually add weight to the bag to build strength over time. Being mentally prepared will also be crucial to your chance of a successful trek. Progressively pushing the limits of your physical training will help develop your capacity to endure the strain. A positive attitude is also crucial. It is helpful to remind yourself when training and during the trek that thousands of people have achieved this feat before you and that you can do it too. But do be prepared for setbacks and particularly difficult stages during the trek. And remember that your guide will be there to encourage and inspire you! 1. Give yourself enough time to prepare and pick the right acclimatization schedule. We have 3 nights acclimatization in Namche Bazaar. In terms of training, it is no good trying to cram everything in a few weeks before you depart. Put training plan together and build on your fitness over a longer period of time, this will also help you avoid injury. Check out our Top 10 Tips for a safe and successful trek to Everest Base Camp. 2. Don’t ignore nutrition. You need a well-balanced diet to maintain a good level of health. As your routine picks up and you train harder, more strain will be placed on your carbohydrate stores. Before, during and after exercise you will need to supply your body with the fuel it needs! 3. Taper off the week before you depart. Reduce your training before you depart on your trek. You should have been training 6 – 10 hours per week.Get some well-earned rest and start your trip feeling fresh. Going on a trip knowing that you are fit and ready gives you one less thing to worry about, it boosts your confidence allowing you to get the most out of the experience. The trek to Everest Base Camp is challenging and should not be taken lightly. I have made this journey 20+ times now, some are easier than others, and the altitude and bodies acclimatization to the lack of oxygen is the real key to success. We have been doing our own research over a number of years and we have decided to add an additional acclimatization day at 3,500m/ 11,500 feet. Ian Taylor Trekking have 3 nights in Namche Bazaar, this will give you a more enjoyable and safer journey to Everest Base Camp. This is vital if you want to be successful on your Everest Base Camp Trek. We cover the daily distances as slowly as possible, you should be the last person into camp. We don’t want to over exert the body, a relaxed, slow walk will aid your bodies adjustment to the lack of oxygen and keep your body and muscles from fatigue. This is so important on this multi-day trek to base camp. Keeping well hydrated, drinking 4 to 5 liters of water each day is also critical to success. Once you sign up to one of our treks we will be available to you and help you train, prepare and have all the information you need. We also have a 40 page dossier, developed over 10 years of running our quality treks to Everest Base Camp. If you walk in the hills and avid hill walker/hiker on a weekly basis, you should have the conditioning needed for the Trek. It is vital to be out walking in the hills in your trekking boots 3 – 6 months in advance on a weekly basis. You also need to add in some gym work if you do not have access to hills and mountains. We have training schedules for this and can talk you through this and make sure you are taking the right steps to succeeding at your chosen adventure. We recommend training 3 to 5 days per week. The Everest Base Camp trail starts at 9,000 feet walking up to Everest base camp at 17,634 feet and Kala Phatar at 18,500 feet spread over 9 days to reach this height. We then turn around and walk all the way back to Lukla in 3 days. The distances can be up to 15km (10miles) a day. Most days are less than this. It is really important that you are used to walking these kinds of distances on a regular basis with added weight in your back pack to give better conditioning to your legs at sea level or at home. By adding extra weight in your back pack at home this will push your body harder and give you better conditioning for when you start hiking above 10,000 feet. If you are out walking up and down hill once a week for 3-6 hours with 8kg+ in your backpack it is proven to give you the overall body conditioning needed for trekking trips to altitude. You can also add in a range of other training to aid your success. Training for Everest base camp trek is important. This is not a one size fits all program to training, as everyone starts from a different fitness base and building this type of conditioning will be different for different people. So CONTACT US and we can get you started and we will point you in the right direction. Just e-mail Ian Taylor ian@iantaylortrekking.com and find out more about starting your adventure to Everest Base Camp. What is Kathmandu like? An Amazing city, worth a few days exploration. Do most people make it to Base Camp? We have 99% success to date on our treks. About 60% of people make it, so come fully trained and prepared so you can enjoy the journey to Everest. We hope you found this Training information for your Everest Base Camp Trek useful. It is always easier to talk with us and we can help you fully prepare for your adventure. For more information about altitude, training, Everest BC Trek CALL US.